Below are links for locating images, music, and other resources licensed through Creative Commons. 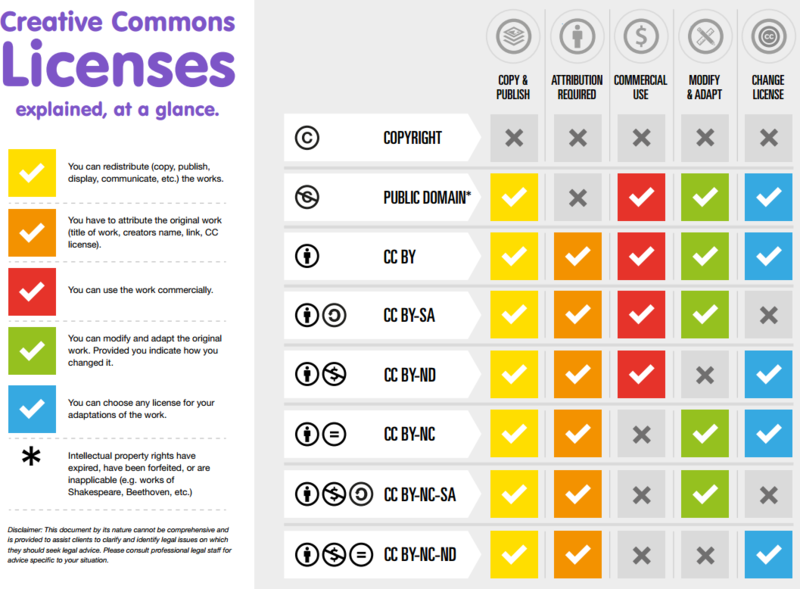 This image search engine returns both Creative Commons and non-Creative Commons images. When you download any image, you can also download the necessary HTML to appropriately attribute the image to its creator. A community music remixing site featuring remixes and samples licensed under Creative Commons licenses. Music on this site is licensed under a Creative Commons license. You are free to download and sample from music on this site and share the results. Community of free, legal and unlimited music published under Creative Commons licenses.